Following on from their successful product launches of the new height adjuster, SideRiser 2 (SR2) and the posture improving ProBax seat at Euro Bus Expo last November, Kirsty Flatt caught up with David Cattanach, Director of A.E. Harris (parent company of Chapman Driver Seating) at their manufacturing plant in the Jewellery Quarter of Birmingham, to find out more about these unique products and to see them in production. The first thing that struck me after my satnav malfunction-assisted tour of central Birmingham was the sheer scale of the site. There was no fear of driving past; Chapman Driver Seating and A E Harris own the street! A large overhead Chapman Driver Seating sign was visible from several streets back, confirming I had arrived at the right destination. If it wasn’t for the cars parked on the road and pavement, it would have been easy to imagine that you had just stepped back in time, as the old, red brick buildings line both sides of the street. However, what soon became very apparent was that although they might be in dated premises, their products and manufacturing processes are leading the way in driver seating. Driver comfort is something that Chapman Driver Seating has had a vested interest in for many years and safety is also of paramount importance when designing an adjustable seat. Their SideRiser (SR1) height adjuster has been a popular purchase since it was first introduced in 2009 and was the preferred seat for most UK operators (including Stagecoach from the introduction of the unit) but it wasn’t without its problems. A few welding issues prompted an early design change and set the scene for one of the main features of the SR2. There was also some movement in the unit due to the adjustment mechanism and the sheer load that the design was able to cope with. SR1 was developed with two main features in mind – a safe working load of 30 stones (190kg) and ‘fail-safe’ features. 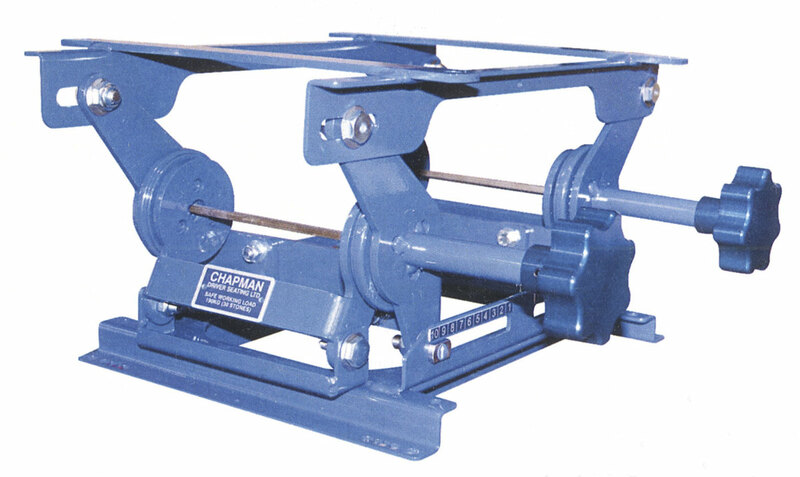 Chapman knew that with the heavy duty use of a driver seat, parts will wear and eventually fail, but they wanted a unit that would ‘fail’ safely. The Mk250 height adjuster had been the unit of choice for many years but if not properly maintained or inspected regularly, the metal teeth on the adjusting mechanism could wear or eventually break off which could cause further problems. Most Mk250’s were fitted with heavy rubber gaiters, so regular inspection was not an easy option. The SR1 adjusters use acme-threaded spindles so there can be no sudden collapse in the event of wear and the unit was tested at Millbrook using actual bus ride data. The basis of the accelerated life testing was 30 stone driver, four adjustments per day in service for 20 hours per day, unmaintained for five years. The SR2 design brief was to remove the excess movement of the earlier SR1 and remove as much welding as possible. When visitors and engineers saw the new unit at the NEC last November it was so well received that Chapman decided to press on with an initial sample batch of 200 units. Such was the early demand this year this number has now passed 250 units in service and two of the top four operators have put this unit into their standard driver seat specification. Unlike the scissor gears of the SR1, the SR2 uses planetary gears and has a rotating knob adjustment rather than a lever or winder handle and as per the design brief, much of the welding has been removed. One feature that drivers have particularly embraced is the fact that it has an easily viewed linear scale so that once they have found their preferred setting; it is simple to adjust and remember, saving precious handover time. This robust seat has undergone rigorous testing at Millbrook and has passed with flying colours. The gears have passed over 20,000 cycles, which equates to over ten years unmaintained service of five seat adjustments a day with an average weight of 14 stone. It was regularly shock tested for 20 hours a day, incorporating real road conditions such as speed bumps, pot holes and the like. It comes with a standard two year warranty and is virtually maintenance free, requiring just occasional greasing as part of an ongoing vehicle maintenance inspection. The next stage of testing is due to take place later this month. This will be a ‘drop test’ with the seat loaded with a 30 stone weight dropped from a rig at a predetermined height to check various forces and potential weaknesses. It will also be subjected to seat belt testing later this year. The plan is to eventually phase out the SR1; because of the continuing advances in production technology, the cost differential between the two products is minimal. The planetary gears are expensive (but robust) but assembly time is reduced meaning Chapman are able to keep the cost the same as SR1. As I mentioned earlier in this article, the comfort and health and safety of the driver is of great importance. It may not be obvious to all, but the driver’s seat is one of the key ‘tools’ to his job and can unfortunately be overlooked as a non-essential item. The ProBax seat technology is a product of NuBax Limited. NuBax work with the automotive, airline and leisure industries and their technology can be found in Odeon cinemas and many UK theatres. The ProBax technology originates from the medical industry and was developed to assist young patients with spinal difficulties. As the name intimates, the ProBax technology is designed to assist the driver achieve the correct seating position (reducing slouching), alleviating back pain and thus reducing the number of driver injury claims for bad backs, which are all too common these days. The technology works by effectively preventing the natural tendency of the pelvis to rotate backwards when sitting. 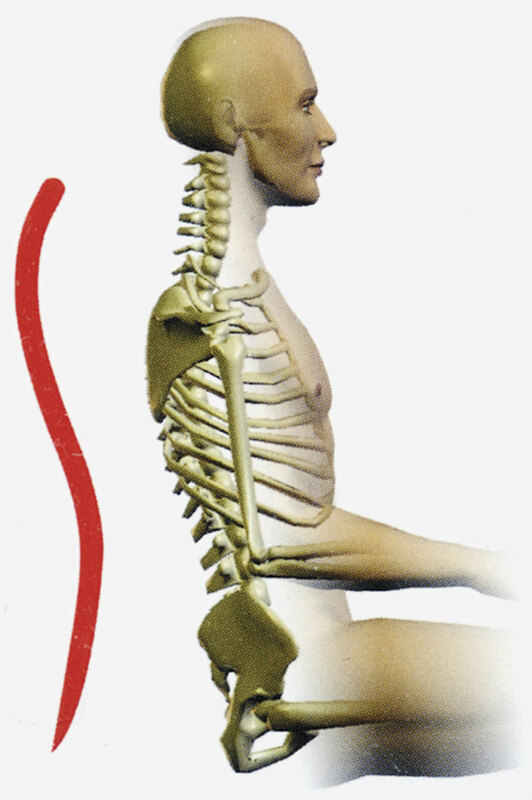 Most conventional foam-based seats allow the occupant’s pelvis to rotate which creates a Kyphotic posture, causing the spine to form an unnatural ‘c’ shape. This means that the spine is unable to support the head correctly, leading to neck, shoulder and back pain. In addition, the curvature of the spine does not allow the lungs to inflate fully therefore causing insufficient blood and oxygen to flow around the body, resulting in fatigue, restlessness and potential circulatory problems. The ProBax seat technology encourages the back into a more natural ‘S’ position, or Lordotic posture, greatly improving posture and decreasing the risk of back, neck and shoulder pain. Chapman Driver Seating has worked with NuBax to design a foam insert which it is moulding into their bestselling Nova Urban seat cushion. 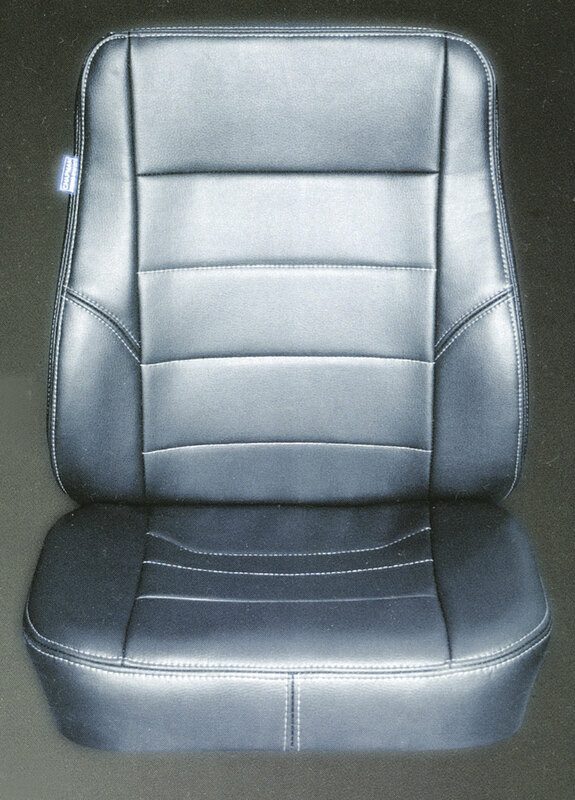 The ProBax foam can either be specified when ordering a seat or retro fitted to most of their seat range which have been purchased within the last ten years. Any seat beyond that is probably overdue for replacing anyway! An individual ProBax ‘wedge’ has specifically been engineered to fit in to Chapman seats, taking into account the depth and density of the cushion. Adjustable lumber support is not required with the ProBax system so this removes another moving part from the seat. ProBax has been available since January of this year and Chapman have an exclusive licence for this product for bus driver seating. Orders have been coming in thick and fast and clients include Go North East, Brighton and Hove, Oxford Bus, Stagecoach and London United. Two identical looking seats were on the Chapman stand at Euro Bus Expo 2014. Visitors were asked to compare the seating and feed back their thoughts. According to David, everyone ‘got it’ especially those with existing back problems. I did the same comparison whilst on the factory tour and didn’t notice a massive improvement in the way I sat, but as David pointed out, my posture was pretty good in the first place and I am quite petite compared to the average bus driver! The effect is actually improved the longer you are sat in the seat so a two minute test isn’t always effective. Here’s a test for you as you are sat reading this. How big is the gap between your shoulders and the back of the seat? If it’s more than a few centimetres, you may be slouching and are probably in an incorrect seated position. At this point, it’s also worth noting that the company also produce a bespoke range of office chairs all of which can be specified with ProBax seating technology! Chapman Driver Seating have a current turnover of £2.3m and when you see the slick way that their manufacturing process operates, it is clear to see why they have become so successful. 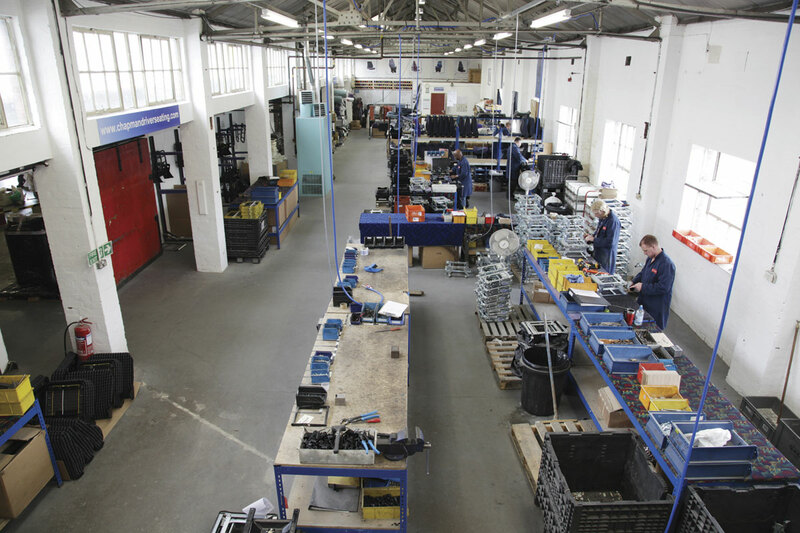 The shop floor is run by Gordon Walker, the Cell Manager who oversees the day to day production. Each morning a planning meeting is held to go through the jobs for that day. When David is on site, he makes a point of attending these meetings so that he is aware exactly what products are at what point of manufacture and of any potential issues. The Chapman cell uses a simple job card system. Each order has a numerical product code which makes each stage of the manufacturing process traceable and marries up against specific products and processes as each section has its own unique set of products and related codes. From this, an inspection sheet is created. As the product moves to the next person in the chain, the card will tell them exactly what products are needed and what stage of manufacture the seat is at. This system works brilliantly as David received a client call during my visit and he was able to tell the customer exactly what the product was by the code he quoted, to such detail as the type of adjuster it had and the upholstered finish; both myself and the client were suitably impressed. Most of the team are specialists in their own field but have been trained to be able to do other jobs so that they can multitask to cope with the demands of the business. On the day I visited, Gordon was doing the skilled job of pattern cutting, something he has many years of experience of. Up to ten layers of moquette or E-Leather can be layered and cut at any one time, although leather has to be cut individually because of slipping and inconsistencies in the material. A skilled cutter will know exactly how many covers he can get from a length of fabric. These days, most of the seats are upholstered in E-Leather, a product we have spoken about a number of times within the magazine, so I won’t go in to any great detail here, as well as some in leather. The traditional moquette is less popular on new vehicles these days and is generally used for aftermarket and refurbishments. The majority of moquettes used come from Camira with a large stock held on site, some of which are operator specific. Unique to Chapman Driver Seating is a German produced microfibre material called Outlast ® which is claimed to create its own microclimate, keeping the seat cool in summer and warm in winter. Those of us that have leather seats in our cars or own leather sofas know the unpleasant feeling of ‘sticking’ to the leather in summer and feeling the cold penetrate through to your bones in winter. It certainly did seem to retain the heat when I tested a section of it in the factory. The material is ‘laminated’ to the face panels of all seats trimmed in E-Leather and leather. David isn’t aware of any other transport seating manufacturer using this product and Chapman has exclusivity of it in the UK transport sector. The cut pieces then make their way to the machinists who will also stitch on a Chapman Driver Seating label which can be found on all of their seats. Watching them work, you can see how skilled a job it is. David admitted that machinists were a dying breed and there were becoming less to choose from in the Birmingham area. The actual seat building section follows and racks of seat frames and stacks of side risers, both SR1 and 2 could be viewed in various stages of manufacture. The seat and height adjuster will be individually labelled with a unique reference number so that in the event of any claim or query against the product, it has full traceability. Any faulty product claims are taken very seriously and often further investigation has proven that insufficient or poor maintenance has been the result of the seat’s malfunction. This has driven David to produce an operating instructions and maintenance care card which is attached to every finished product. I was amused to see a number of buckled and twisted seats that had been pull-tested at MIRA. Some of these were standard seat-belt tests and others ‘great ideas that didn’t work!’ What it did show is that David and his team are people who are continually creating and looking at innovative ways to improve driver seating. They are also constantly looking at ways to improve the manufacturing process both in terms of efficiency and cost effectiveness. They are currently in the process of developing new tooling for their latest high-backed seat offering which one operator already specifies but may prove popular with others. It also lends itself to be a product well-suited to the office chair market. David informed me that the company has the capacity to produce 4,000 seats a year and are able to increase production to meet these demands should there be a saturated period of activity. One of the distinct advantages that Chapman Driving Seating has is the fact that the company is now owned by metal pressing specialists A E Harris who have been engineering metal products in the West Midlands for over 130 years. They know a thing or two about seating, having once produced parts for KAB Seating. 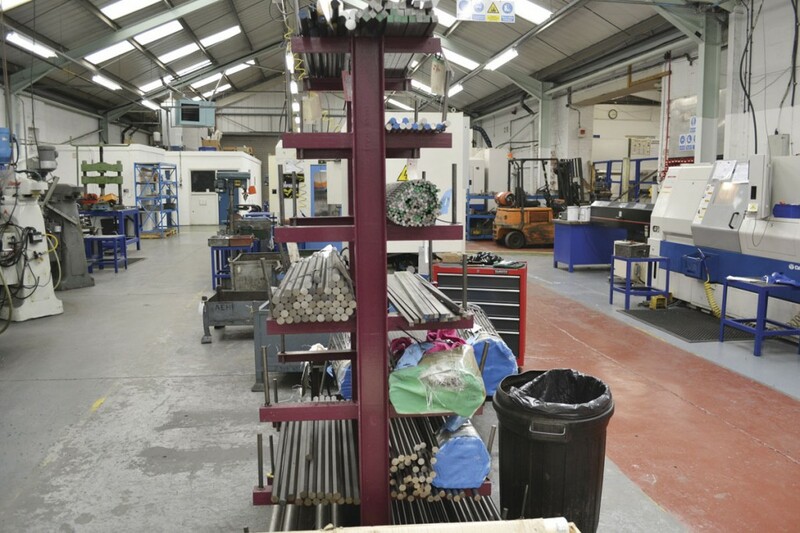 Despite producing a huge range of components in their adjoining manufacturing plant and being predominantly a subcontracting metal work company, they now exclusively provide seating frames and parts for Chapman. A E Harris can produce a month’s worth of frames within a week. All of the metal components required for the seats are manufactured in house, with the exception of the planetary gears used in the SR2. This means that with the exception of painting, which is done off site, the majority of the product is made under one roof – well a series of roofs to be precise. It was fascinating to see the bars of raw material going through various machines to create special bolts and studs and metal tube that was bent to make seat frames ready for welding on the robot welder. A E Harris have made a huge investment in the latest laser cutting technology with the recent purchase of a state of the art fibre laser. This is proving to be an invaluable piece of machinery for a number of their clients requiring precision components. It is clear that both companies are investing in new technologies to expand and improve their product range and it is reassuring to see that manufacturing is still very much alive in this country at a time when businesses seem to be consistently outsourcing to companies as far afield as China and India. To find out more about Chapman Driver Seating products or to arrange a visit, please contact David Cattanach on [email protected], by calling 0845 838 2305 or visiting www.chapmandriverseating.com.